I have always put it off. – Not sure which one to get? – I’ll just ride outside instead and wrap up. – It will gather dust and be a total waste of cash. It was with this quote fresh in mind and following on from actually finding some pretty decent form after focusing on my diet and training (read about this here), the quest began. Ultimately this quest has been a success. In fact, one of the best things I’ve done in a long time. So read on to learn how and why! OK, back to the quest..
After some belt-tightening and saving, I was in a good position to buy the trainer I really wanted. After considerable research, speaking to friends and spending an unhealthy amount of time on YouTube, it was a two-horse race. 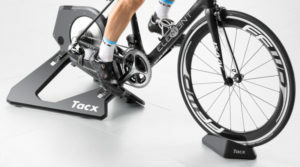 The Wahoo Kickr or the Tacx Neo? We have a good comparison for these two high-end bike trainers here, but what swung me? Actually, to be honest, it was more about the look and brand at this point. Both trainers were direct-drive and were at the top of the market. I am sure I would have been happy with either. However I needed to choose one. 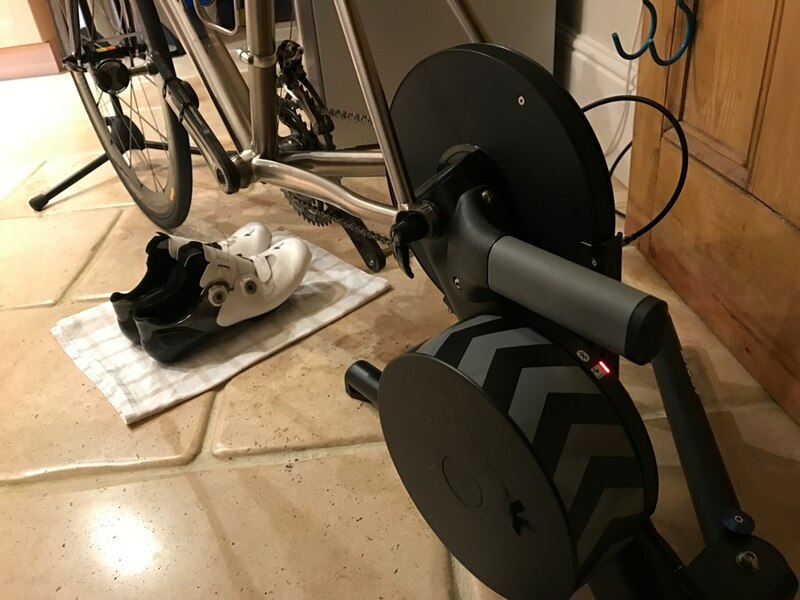 Both trainers worked well with the software I was going to use most (most likely TrainerRoad and Zwift). Lastly, they were both available with next day delivery! The Wahoo Kickr direct-drive smart trainer just stood out that little bit more in my mind, and I am so pleased I went with this choice! I’m now 6 weeks into ownership (at the time I’m writing this) and it has been a real pleasure getting it up and running and using regularly. The Wahoo Kickr is a seriously well-made piece of kit. So much so I had trouble lifting the box into the kitchen when it was delivered! Strong may the legs be, but the “guns” are more like twigs according to my mates. Harsh but fair. The Kickr is over 21kg and it feels every one of those! This weight is very reassuring and instantly gives you confidence that this is something that is quality. Once out of the box, setting up is very simple. You get a quick start paper guide and the power cord plus the Wahoo cadence sensor included too, which is a nice bonus. One of the main differences between this latest version (Kickr 2) and the first version is that this one has a carrying handle that the first one missed. Feedback from users was that it was awkward to move and I can certainly see this being an issue. The other major improvement has apparently been the sound with this new one being quieter. Check out the video below and you can certainly hear the difference. The Kickr comes folded up so all you need to do is move the arms out and lock in place by pushing the two blue bolts and then letting them click when the legs are extended. The Kickr ships with the lowest setting of bike size so I quickly adjusted that to the standard setting. Last but not least, I plugged the power lead in the back. The Kickr is a direct-drive trainer and so you need to remove the back wheel of your chosen bike and then put it on the Kickr. I personally like this because it means I don’t have to worry about my back tyre wearing down, which is an issue with traditional tyre on roller turbo trainers. To fix your bike to the Kickr you remove your wheel and then you can either use your bike skewer or the one supplied to attach it to the Kickr. In my opinion, the supplied skewer is not the most, ahem, well-made item, so I actually just used my bike skewer. It was a very simple job to switch the skewer and then drop the bike onto the cassette on the Kickr. It may just be a throw away comment, but having a trainer that is so easy to setup and start using is not something you can say about every trainer. It is something I value because I hate wasting time on things that should be simple. I use Campag groupsets on all my bikes and the supplied cassette on the Kickr is supposed to be for Shimano only. However, it worked fine and has continued to work flawlessly. Having read about other people’s experiences, I am not alone in finding this. Therefore there is no need to purchase the Campag hub adaptor, saving yourself some hard-earned cash. Once the bike is on the Kickr you only need to plug it in and you are ready to go. How does the trainer communicate with all the sensors and software? It doesn’t transmit cadence which is why the inclusion of the Wahoo cadence pod is a very good call and does transmit both ANT+ and Bluetooth Smart cadence. I initially thought I was going to be using ANT+ but soon realised that both my MacBook Air and also iPad had Bluetooth and would be by far the easiest protocol to use, minimising the use of the ANT+ dongle, USB extensions and adaptors. I’ve settled on using an iPad Air 2 with a superb stand from Konig and Meyer (see here on Amazon). 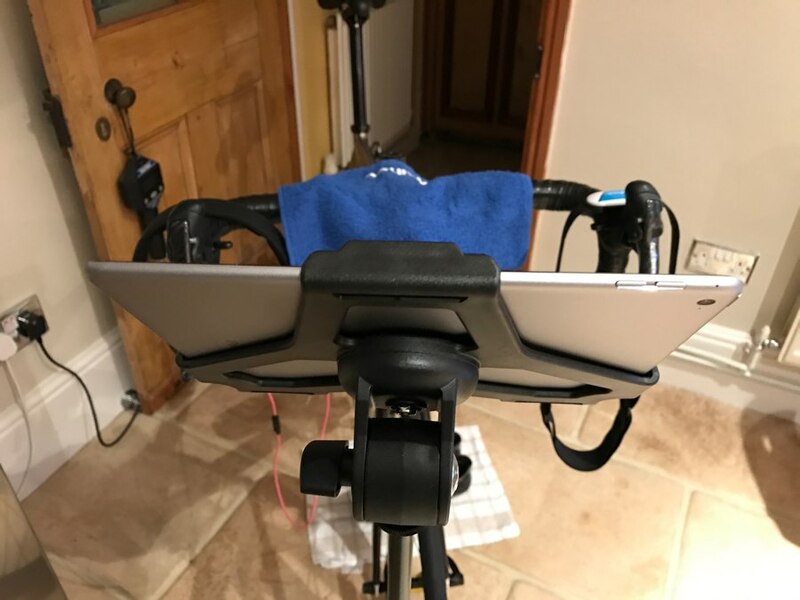 This does a perfect job of positioning the iPad safely right in front of me and allows me to use the various software easily and with minimal fuss. The stand is incredibly well made and can be adjusted for height and the iPad rotated and tilted also. It holds the iPad *very* securely and I have no qualms about it falling out. The other pieces of kit I am using are a Wahoo Tickr heart rate sensor which pairs easily every time and an 18″ Prem-Air fan. The latter is an *essential* bit of kit providing a constant and strong airflow while on the Kickr. It has three-speed settings and have found the lowest one perfect for my needs. Last but not least, the software! I have been using TrainerRoad and Zwift and will be writing up my thoughts on these in future posts. What I can say is that they are both superb and make using the Kickr an absolute pleasure. So much so, that I did over 500 miles in December, with only three outdoor rides and the rest on the Kickr! Not bad going eh? Getting the Kickr to pair with my iPad running both apps was an absolute breeze if you were wondering. How does it feel to ride on the Kickr? So, what’s it like when riding? It’s good. Really good. OK, as stated at the start of this post, this is my first trainer and so I am not really justified to give any comparisons… but, it feels pretty darn good to me. I need to state something here. After paying a lot for this trainer (let’s not pretend that this was not a pretty big financial investment for me) I was always going to be quick to pick at any negative points, but as you are reading I am only finding positives to talk about. This is BIG endorsement right there. 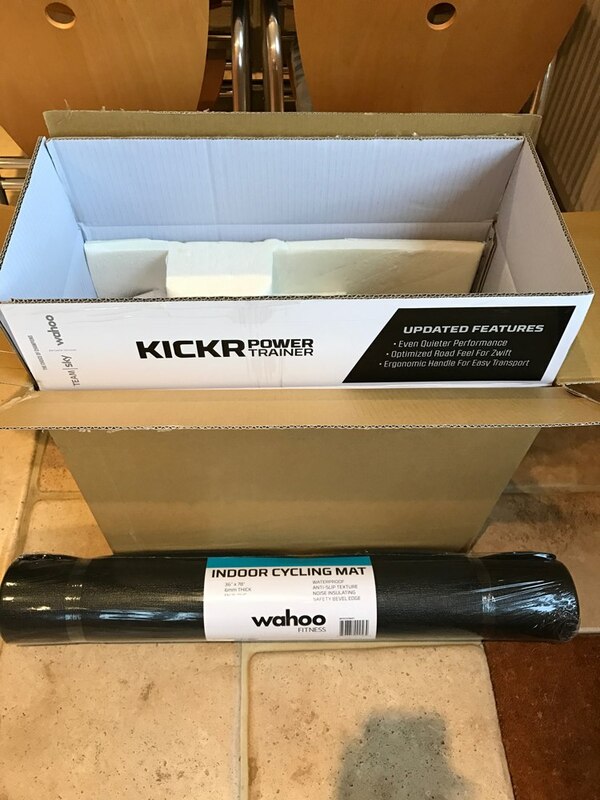 The build quality and weight makes the Kickr supremely planted on the floor and using a trainer mat makes this even more so. Even big ‘out of the saddle’ efforts inspire confidence. Believe me, you are not going to be falling off this trainer or moving it around. It feels smooth and relaxing and the direct-drive nature of the Kickr means it provides an excellent experience. To be honest, I was thinking that the whole process of setup, getting acquainted and starting using the Wahoo Kickr was going to be a lengthy and frankly frustrating process. From the simple setup (literally the three actions of pulling the legs out, setting the bike size and plugging in), to attaching the bike and pairing the trainer with the software, it was enjoyable, interesting and I encountered not one issue. 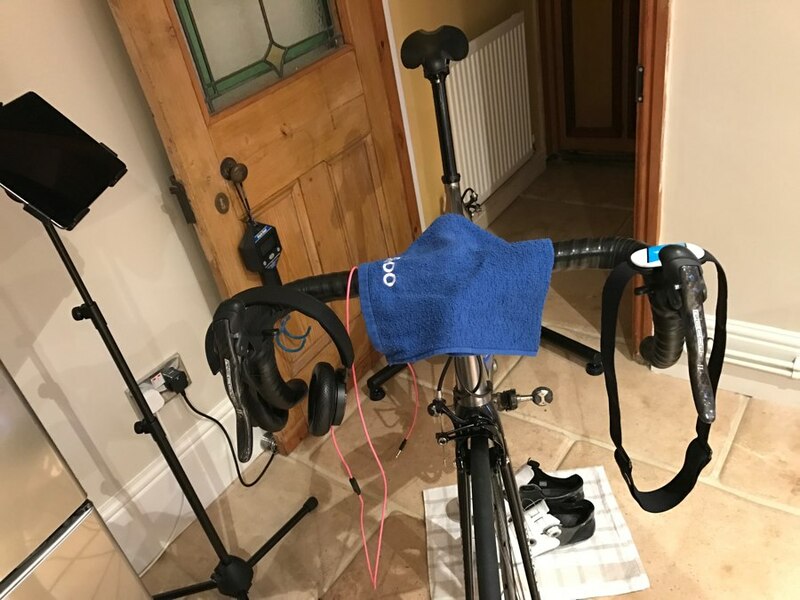 Using the Wahoo Kickr turbo trainer has totally transformed my training this winter and I go out on Sunday rides feeling fitter and stronger than ever. The mere fact of being able to jump on the Kickr at any time with just some bibs, a t-shirt and my cycling shoes has meant that it is easy to do which, as we all know, is half the battle in these dark and wet (and blooming cold) winter months. Having a bike permanently on the Kickr has also contributed this, so zero fuss, just flick the switch then off we go. Thank you to my *very* understanding partner – she is very tolerant of my cycling and now trainer addiction! 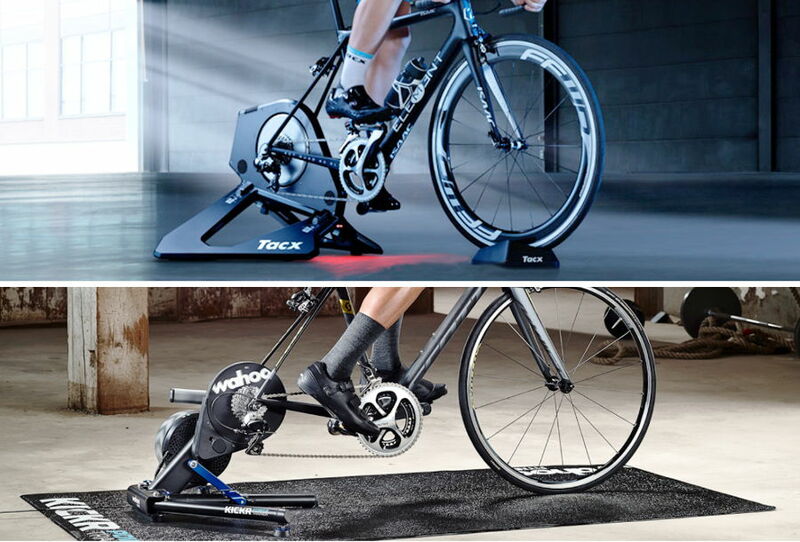 The Wahoo Kickr is a lot of money so if you are considering a high-end turbo trainer you need to weigh up the pros and cons. However, as you have just read I would not be without it now, and I absolutely love it. The Kickr is quality through and through. The build is solid, the setup is effortless, and the connection with all the software has been faultless. I purchased my Kickr from Wiggle Cycles (like most of my cycling gear).